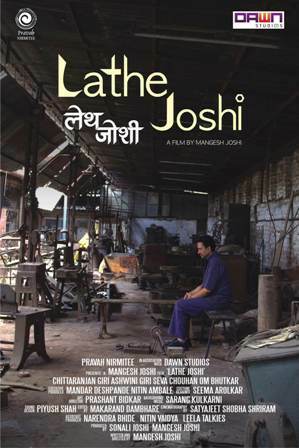 Synopsis: The M Town is not dearth of having different movies and strange titles and Lathe Joshi is one of them. The film is all set with its trailer that is creating a good buzz in the media. 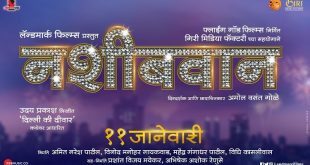 The film is directed by Mangesh Joshi, while it is produced by Sonal and Magesh Joshi himself under the banner of Dawn Studios. The film has an interesting star cast, which include Chittaranjan Giri, Ashwini Giri, Seva Chauhan and Om Bhutkar in the lead roles. The film is written by Mangesh Joshi himself, while the photography is carried out by Satyajeet Shobha Shriram. The film falls under the genre of drama and is set to release soon. Talking about the film’s plot, it deals with a machines that has made the workers outdated, which though seems to be a futuristic idea but that’s been the truth being well taken by the director of the movie. The worker called Joshi is known as a skilled man in his company and is often recognized with the name Lathe Joshi considering his expertise in handling the machine. However, he loses his job considering the chancing times of urbanization that has overtaken the idea of automation in it. 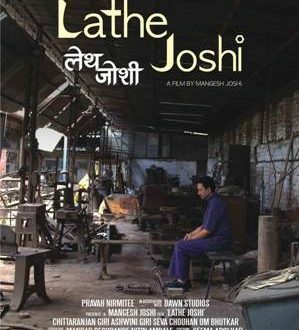 So, what happens next is interesting to catch, while others in the family has taken up other jobs and he remains chanting the old story of having known as lathe Joshi. Next ‘विकता का उत्तर’च्या सेटवर कोण ठरणार वजनदार, सई की प्रिया ?